One of 292 imported in 1992. Koni struts, Whiteline springs and swaybar, HKS exhaust, TO4E compressor wheel. Feb 8, 2011 8:43 p.m.
Feb 8, 2011 8:44 p.m.
Feb 10, 2011 4:45 p.m. 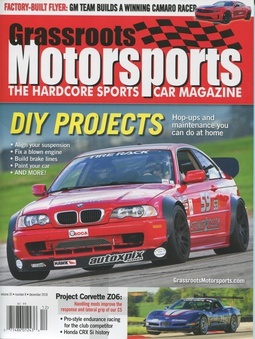 If you search back issues of GRM, there were some good articles about their Celica ST project car. IIRC, it was a very competitive autocrosser. More competitive in its class than my All Trac is! Mar 10, 2011 1:34 a.m. Yes, I still have those issues!!! May 29, 2011 11:47 a.m. Awesome, had a 92 Celica GT myself, my first car! Always wanted an AllTrac! May 29, 2011 2:07 p.m.
You could say Celicas are in my blood. My first car when I was finally making enough money to buy something other than a beat up muscle car, was an 86 GTS. I drove the wheels off of it and bought a used ST165 All Trac in 91. I picked up the ST185 about 10 years ago and have really enjoyed it. The All Tracs are definitely more maintenance intensive than the standard Celicas but well worth it. It is funny how the beat up American muscle cars of my youth are worth big bucks today. Far more than my All Trac. I cry when I think of how cheaply I sold a 68 Lemans Convertible when I needed tuition money in 1984. Mar 29, 2012 10:52 p.m.